We specialise in paediatric dispensing. Our clinic runs daily in the Addenbrookes eye clinic where you can attend to have glasses dispensed by ABDO qualified dispensing opticians. 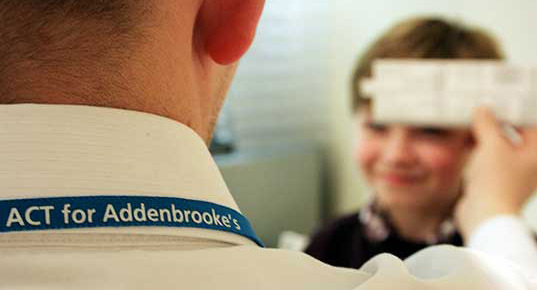 Please call into the Addenbrookes eye clinic, or contact us for an appointment at our Burwell practice to discuss your Childs prescription, dispense, adjustment or repair. We stock 100’s of frames from such collections as Zoobug and Tots Specs along with various other fun, bright character frames. We will not comprises on quality and only select styles we deem appropriate for the use in paediatric eye care. Kids frames must be light, comfortable, strong and appealing to wear but most importantly support the spectacle prescription they have been prescribed so they achieve the maximum benefit from this correction. Several of our most popular ranges feature the very flexible and robust Grilamid T-90 material which are excellent lightweight fitting frames for the most active of children. With our experience within this field we are well placed to advise on the correct frame selection to suit the optical prescription and go forward with a frame fitting to match. We can also supply sports glasses, swimming goggles and sunglasses all to your child’s prescription. All tinted lenses come with UV400 protection as it is estimated that on average a child receives 80% of there total lifetime exposure to harmful UV rays before the age of 18yrs. We will advise where thinner lighter lenses may be appropriate to reduce weight and increase comfort and where tougher lens materials such as trivex might be a better options to increase impact resistance.